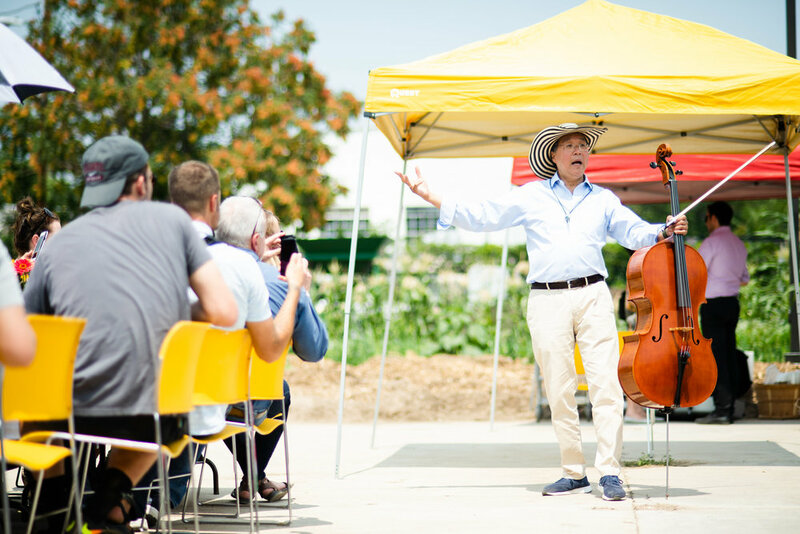 On Thursday, August 2, after his sold-out performance at Red Rocks Amphitheatre, Yo-Yo Ma visited Re:Vision and our Urban Farm for an intimate farm-to-table lunch with members of the community. 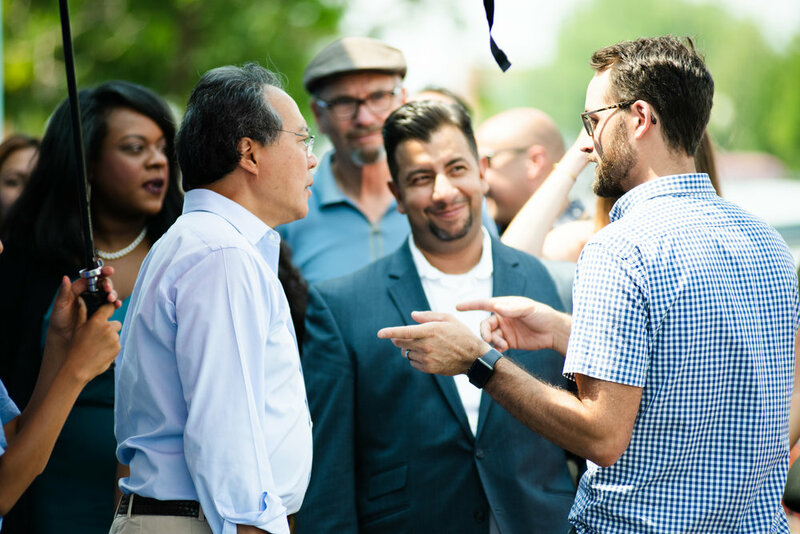 It began the night before, where thanks to the generous support of Bonfils-Stanton Foundation, 30 Westwood community members boarded a bus from La Casita and got to experience Yo-Yo Ma's Red Rocks sold-out debut. The concert kicks of a two-year, 36-city tour. But what makes this tour particularly special is that Mr. Ma's journey is not only motivated by his six-decade relationship with the music, but also by Bach’s ability to speak to our shared humanity at a time when our civic conversation is so often focused on division. The following day community members gathered at 9am to start harvesting and preparing a special farm-to-table lunch to celebrate Yo-Yo's visit to Westwood. He arrived to a whirlwind of guests but was quickly put to work on the farm where he harvested vegetables with our Promotoras and Farm Managers. The meal was kicked off by blessing and song from third-generation Westwood resident and artist, Santiago Jaramillo. Once everyone was seated, Mr. Ma treated attendees to a Sarabande. "My job," said Yo-Yo Ma as he address attendees, "is to learn what people are doing, and when possible, have people talk to each other and share that knowledge." It was an afternoon where we in fact shared knowledge, stories, a lovely meal and even some tears. We are so grateful to have hosted the event, and it is something that will live in the heart of Westwood for years to come.